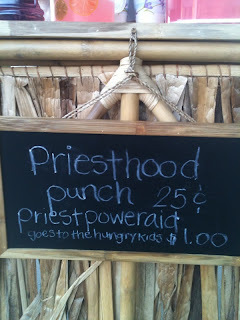 Back at the Tates: priesthood punch & priestpoweaid for Sale!!! 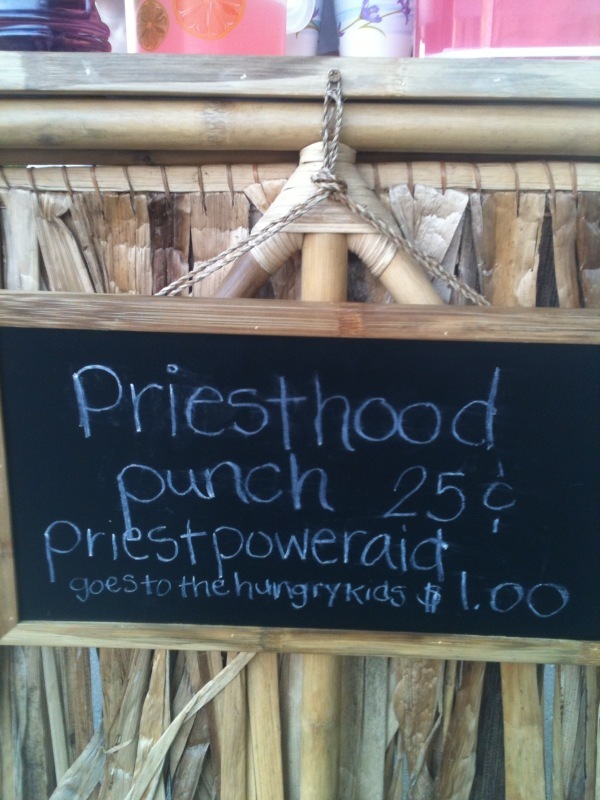 priesthood punch & priestpoweaid for Sale!!! The girls and I set up camp down the street from the Stake Center before Priesthood to hydrate all the Priest, unfortunately all who had stopped were girls, on there way out for "girls night out." Ella; after given some insight to the hungry in our world decided to donate half her proceeds to the hungry kids in this world. 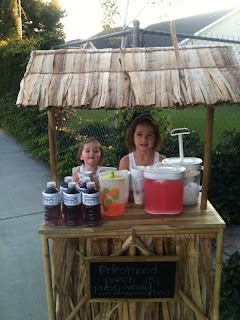 btw, this lemonade stand has been in my storage unit for 4 years. It was time to drag it out whether we have a house or not. Just learning about life's little lesson... concerning perfection even though; I still continue to seek after it.